Recently, the developers behind the famed The Witcher series and the upcoming Cyberpunk 2077 have just announced their brand new studio in one of the "most technologically advanced cities" in Poland in order to make the new title "even better!" Their new Wroclaw studio is dedicated to giving Cyberpunk 2077 the most technologically advanced chance it could possibly have during its creation process. During the recent CD Projekt Red fiscal year presentation, the president of the company, Adam Kicinski seemed to be brimming with excitement. He told listeners that he couldn't wait to share more and that there was so much that fans will be excited for. Unfortunately, that excitement wasn't enough to get him to spill everything but he did promise a huge announcement "just before" their presentation at this year's E3! 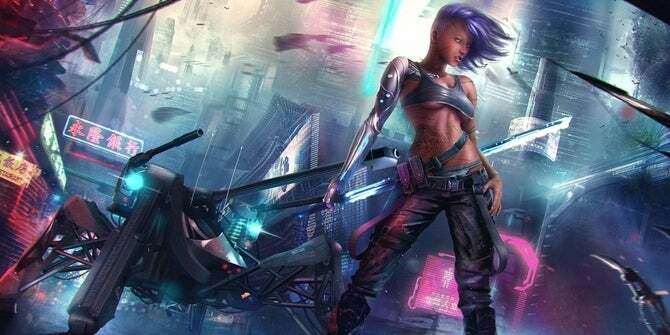 Earlier this month, there was speculation about Cyberpunk being cross-generational. This would mean that it would not only come out on this generation, but the yet to be announced next one as well. Kicinski said there is no point to this speculation, however, during the call since the game - nor the next generation - has been announced yet. He did mention that the new game is very "technologically advanced" and that it was created with future generations in mind. One interesting thing he brought up during the presentation was character creation. For many RPG fans, this is a make or break mechanic in a game but Kicinski not only confirmed that the upcoming game will offer the feature, but also that there would be many options to choose from, including various classes. The president mentioned that pretty much the team took to this title with an open mind. Because of that, rumors have been rampant. When addressing some of these rumors, such as multiplayer and battle royale, he mentioned that they are looking at "everything and anything" but they are not ready to disclose anything more than that at this time. That's not a hard no, but it could just be exactly what it sounds like: him staying true to his vow of silence. We're expecting an official reveal at this year's E3, they've already confirmed that they have something planned for the event. It would be the perfect time to share footage, the hype has been successfully built and the game is making solid progress with its development. Keep in mind too that their Twitter for this title came back to live after years of being radio silent: big things are happening! For those excited about what's next, all of that patience is about to pay off. Stay tuned for more Cyberpunk goodness in the months to come!